S -22° 23' 59" and E 47° 45' 0"
Ifatsy in Vatovavy Fitovinany Region with it's 15,000 citizens is a place in Madagascar about 241 mi (or 388 km) south of Antananarivo, the country's capital city. Current time in Ifatsy is now 12:15 AM (Tuesday). The local timezone is named Indian / Antananarivo with an UTC offset of 3 hours. We know of 8 airports near Ifatsy. The closest airport in Madagascar is Manakara Airport in a distance of 26 mi (or 42 km), North-East. Besides the airports, there are other travel options available (check left side). While being here, you might want to pay a visit to some of the following locations: Manakara, Farafangana, Fianarantsoa, Ihosy and Ambositra. To further explore this place, just scroll down and browse the available info. Let's start with some photos from the area. Andemaka is a town and commune in Madagascar. It belongs to the district of Vohipeno, which is a part of Vatovavy-Fitovinany Region. The population of the commune was estimated to be approximately 16,000 in 2001 commune census. Primary and junior level secondary education are available in town. The majority 73% of the population of the commune are farmers, while an additional 15% receives their livelihood from raising livestock. Located at -22.3, 47.75 (Lat. / Lng. ), about 7 miles away. Ankarimbary is a town and commune in Madagascar. It belongs to the district of Vohipeno, which is a part of Vatovavy-Fitovinany Region. The population of the commune was estimated to be approximately 8,000 in 2001 commune census. Only primary schooling is available. The majority 94% of the population of the commune are farmers, while an additional 4% receives their livelihood from raising livestock. Located at -22.4167, 47.8833 (Lat. / Lng. ), about 9 miles away. Ifatsy is a town and commune in Madagascar. It belongs to the district of Vohipeno, which is a part of Vatovavy-Fitovinany Region. The population of the commune was estimated to be approximately 15,000 in 2001 commune census. Primary and junior level secondary education are available in town. The majority 93% of the population of the commune are farmers, while an additional 5% receives their livelihood from raising livestock. Located at -22.4, 47.75 (Lat. / Lng. ), about 0 miles away. Ilakatra is a town and commune in Madagascar. It belongs to the district of Vohipeno, which is a part of Vatovavy-Fitovinany Region. The population of the commune was estimated to be approximately 17,000 in 2001 commune census. Primary and junior level secondary education are available in town. The majority 99% of the population of the commune are farmers. The most important crop is rice, while other important products are coffee and cassava. Services provide employment for 1% of the population. Located at -22.35, 47.6667 (Lat. / Lng. ), about 6 miles away. Lanivo is a town and commune in Madagascar in the district of Vohipeno, which is a part of Vatovavy-Fitovinany Region. The population of the commune was estimated to be approximately 9,000 in the 2001 commune census. Primary is the only schooling available. 95% of the population are farmers and 4.7% raise livestock. The most important crop is coffee, followed by sugarcane, lychee, and rice. 0.2% of the population works in the service industry and 0.1% works in the fishing industry. Located at -22.2833, 47.8167 (Lat. / Lng. ), about 9 miles away. Mahabo is a town and commune in Madagascar. It belongs to the district of Vohipeno, which is a part of Vatovavy-Fitovinany Region. The population of the commune was estimated to be approximately 4,000 in 2001 commune census. Only primary schooling is available. The majority 99% of the population of the commune are farmers, while an additional 0.5% receives their livelihood from raising livestock. The most important crop is coffee, while other important products are cabbage, cassava and rice. Located at -22.3333, 47.7667 (Lat. / Lng. ), about 5 miles away. Mahasoabe is a town and commune in Madagascar. It belongs to the district of Vohipeno, which is a part of Vatovavy-Fitovinany Region. The population of the commune was estimated to be approximately 7,000 in 2001 commune census. Only primary schooling is available. The majority 90% of the population of the commune are farmers, while an additional 2% receives their livelihood from raising livestock. The most important crop is coffee, while other important products are sugarcane, cassava and rice. Located at -22.2667, 47.7667 (Lat. / Lng. ), about 9 miles away. Mahazoarivo is a town and commune in Madagascar. It belongs to the district of Vohipeno, which is a part of Vatovavy-Fitovinany Region. The population of the commune was estimated to be approximately 19,000 in 2001 commune census. Only primary schooling is available. The majority 90% of the population of the commune are farmers. The most important crops are rice and beans, while other important agricultural products are pineapple, bananas and coffee. Located at -22.3167, 47.5833 (Lat. / Lng. ), about 12 miles away. Nato is a town and commune in Madagascar. It belongs to the district of Vohipeno, which is a part of Vatovavy-Fitovinany Region. The population of the commune was estimated to be approximately 9,000 in 2001 commune census. Only primary schooling is available. The majority 98% of the population of the commune are farmers, while an additional 1% receives their livelihood from raising livestock. Located at -22.3, 47.8167 (Lat. / Lng. ), about 8 miles away. Onjatsy is a town and commune in Madagascar. It belongs to the district of Vohipeno, which is a part of Vatovavy-Fitovinany Region. The population of the commune was estimated to be approximately 8,000 in 2001 commune census. Primary and junior level secondary education are available in town. The majority 98% of the population of the commune are farmers. The most important crop is rice, while other important products are coffee, sugarcane and cassava. Located at -22.4, 47.9 (Lat. / Lng. ), about 10 miles away. Sahalava is a town and commune in Madagascar. It belongs to the district of Vohipeno, which is a part of Vatovavy-Fitovinany Region. The population of the commune was estimated to be approximately 9,000 in 2001 commune census. Only primary schooling is available. The majority 99.5% of the population of the commune are farmers. The most important crops are coffee and rice, while other important agricultural products are beans, lychee and cassava. Located at -22.2667, 47.65 (Lat. / Lng. ), about 11 miles away. Savana is a town and commune in Madagascar. It belongs to the district of Vohipeno, which is a part of Vatovavy-Fitovinany Region. The population of the commune was estimated to be approximately 4,000 in 2001 commune census. Only primary schooling is available. The majority 74.9% of the population of the commune are farmers. The most important crop is rice, while other important products are coffee, lychee and cassava. Services provide employment for 0.1% of the population. Located at -22.3833, 47.9 (Lat. / Lng. ), about 10 miles away. Vohindava is a town and commune in Madagascar. It belongs to the district of Vohipeno, which is a part of Vatovavy-Fitovinany Region. The population of the commune was estimated to be approximately 12,000 in 2001 commune census. Primary and junior level secondary education are available in town. The majority 78% of the population of the commune are farmers. The most important crops are rice and sugarcane, while other important agricultural products are coffee, lychee and cassava. Located at -22.4167, 47.8667 (Lat. / Lng. ), about 8 miles away. Vohipeno is a town and commune in Madagascar. It belongs to the district of Vohipeno, which is a part of Vatovavy-Fitovinany Region. The population of the commune was estimated to be approximately 18,000 in 2001 commune census. In addition to primary schooling the town offers secondary education at both junior and senior levels. The town provides access to hospital services to its citizens. The majority 98% of the population of the commune are farmers. Located at -22.35, 47.8333 (Lat. / Lng. ), about 6 miles away. Vohitrindry is a town and commune in Madagascar. It belongs to the district of Vohipeno, which is a part of Vatovavy-Fitovinany Region. The population of the commune was estimated to be approximately 13,000 in 2001 commune census. Primary and junior level secondary education are available in town. The majority 98% of the population of the commune are farmers. The most important crops are rice and coffee; also cassava is an important agricultural product. Located at -22.3833, 47.85 (Lat. / Lng. ), about 6 miles away. Ambalatany is a town and commune in Madagascar. It belongs to the district of Farafangana, which is a part of Atsimo-Atsinanana Region. The population of the commune was estimated to be approximately 16,000 in 2001 commune census. Primary and junior level secondary education are available in town. The majority 99.9% of the population of the commune are farmers. The most important crops are rice and bananas; also coffee is an important agricultural product. Located at -22.5333, 47.6 (Lat. / Lng. ), about 13 miles away. Amporoforo is a town and commune in Madagascar. It belongs to the district of Farafangana, which is a part of Atsimo-Atsinanana Region. The population of the commune was estimated to be approximately 11,000 in 2001 commune census. Primary and junior level secondary education are available in town. The majority 99.9% of the population of the commune are farmers. The most important crops are rice and cassava, while other important agricultural products are pineapple and sugarcane. Located at -22.4667, 47.8 (Lat. / Lng. ), about 6 miles away. 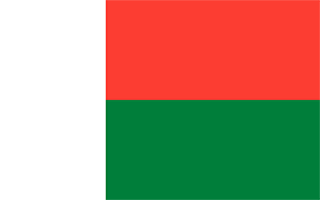 Marovandrika is a town and commune in Madagascar. It belongs to the district of Farafangana, which is a part of Atsimo-Atsinanana Region. The population of the commune was estimated to be approximately 13,000 in 2001 commune census. Primary and junior level secondary education are available in town. The majority 99.9% of the population of the commune are farmers. The most important crops are rice and coffee, while other important agricultural products are pineapple and bananas. Located at -22.5167, 47.6667 (Lat. / Lng. ), about 10 miles away. Vohilengo is a town and commune in Madagascar. It belongs to the district of Farafangana, which is a part of Atsimo-Atsinanana Region. The population of the commune was estimated to be approximately 16,000 in 2001 commune census. Only primary schooling is available. The majority 98.5% of the population of the commune are farmers. The most important crops are coffee and bananas, while other important agricultural products are cassava, pepper and rice. Located at -22.5333, 47.6833 (Lat. / Lng. ), about 10 miles away. These are some bigger and more relevant cities in the wider vivinity of Ifatsy.